So in the previous posts about this I talked about using different shades of one colour or choosing a complementary pair, but you might have a yarn stash that doesn’t provide those options, or you might just like lots of colours in your cloth! What to do? Sorry what? Yeah those colour terms get a bit weird. 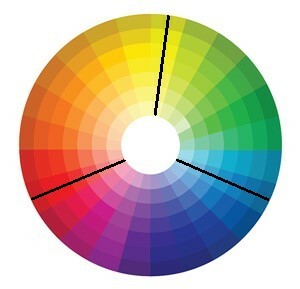 Simply put, if you take any three colours from the colour wheel that are equal distances apart then that’s your triad. The most basic of this is, of course, red, yellow and blue. The trick is that they must all three must be equally far apart, like spokes. 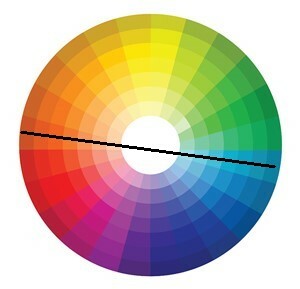 If, instead, you take three colours that lie next to each other on the wheel (e.g. green, blue-green and green-blue) then those are your analogous colours and will also work well together. With both triadic and analogous colours you should use more of one colour and then the others in small amounts. You might remember that was mentioned too with complimentary colours. This post is about complimentary colours and the name kind of gives it away… they complement each other! But which colours are complementary? Take a look at a colour wheel and draw a straight line from one edge, through the centre to the other edge and it’ll run through two colours. This pair sitting opposite each other on the wheel and are complementary. So if you have a lovely orange-red yarn, what is opposite orange-red on the wheel? Green-blue. The trick with using complementary colours is that just because they go together doesn’t mean you should do a 50/50 split between the two. In fact complementary colours work best if you use more of one and just a little of the other. For example, if you’re designing stripes you might want to do thick stripes in one and thinner or fewer stripes in the other. 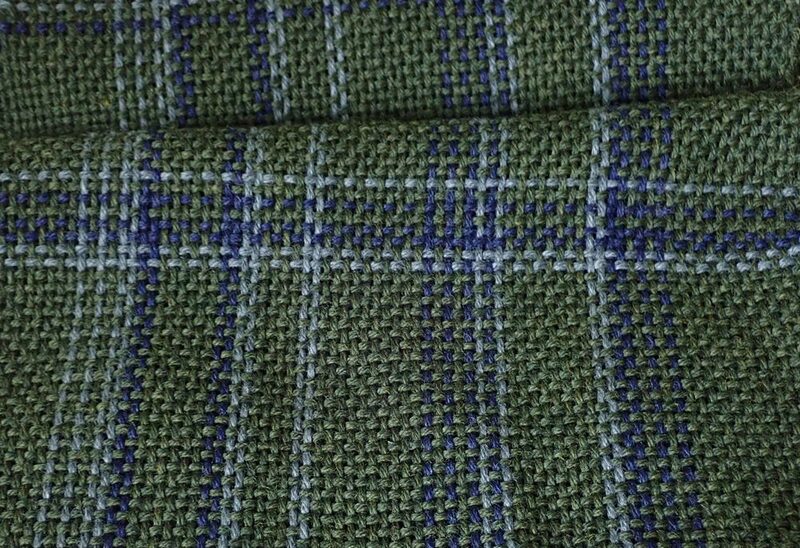 But sometimes the yarn companies do the work for you, like where you have a yarn with a colour fleck in it, those are often complimentary to the base colour of the ply. I like complimentary colours, because the right mixture of them always feels lively to me! 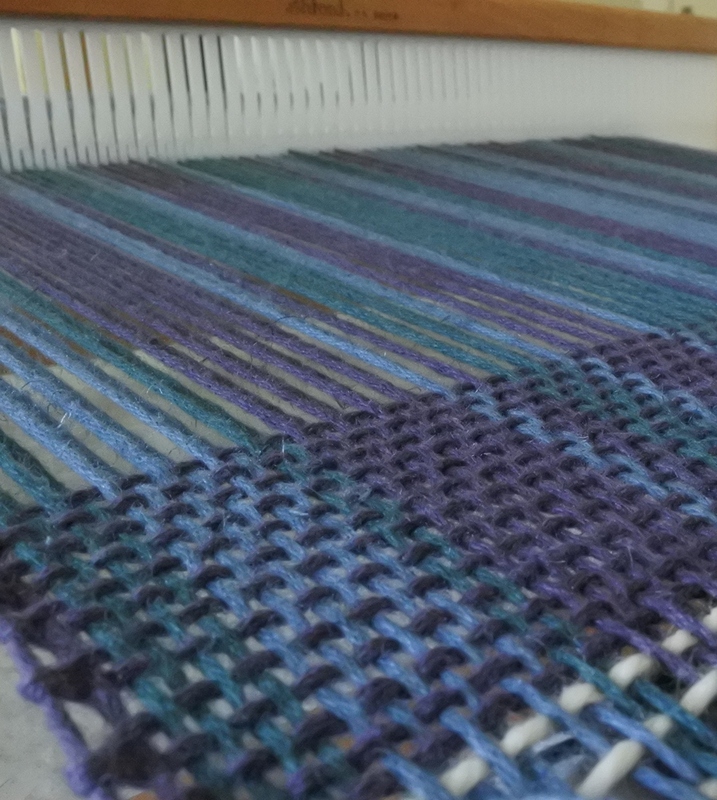 As I’ve said before, colour matters to weavers because when we cross a warp with a weft we visually mix colours. We also like to do things like create stripes and blocks of colour in patterns. So how do you know that two, three or even four colours will work together? You use a ‘colour scheme’ a bit like those helpful paint brochures that show wall, ceiling and trim colours that work together give a colour scheme! Except you can take yours from the trusty colour wheel. 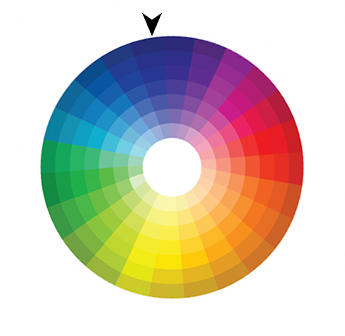 If you look at any colour wheel (see below) it shows the progression of colours around the wheel, but most of them also show the palest version of the colour in the centre and the darkest on the outer edge. If you look at just one wedge of colour – for example blue – then you’ll see a colour scheme that runs from blue-tinged white through to a dark navy. That is a monochromatic (one-colour) colour scheme because they’re all the same blue just with more white/black added in to make them lighter/darker. Of course we’re talking yarn not paint, so sure you might have four balls of yarn that are all blue, but are they shades of the same blue? If you lay them side-by-side, in order from dark to light, you should see in daylight (beware the distorting power of electric lights!) that they’re shades of the same colour. Though this is where, if you really struggle with colour, you could grab a colour wheel and place the yarns over it to get help recognising if they’re the same blue because they should all belong to the same wedge of the wheel. 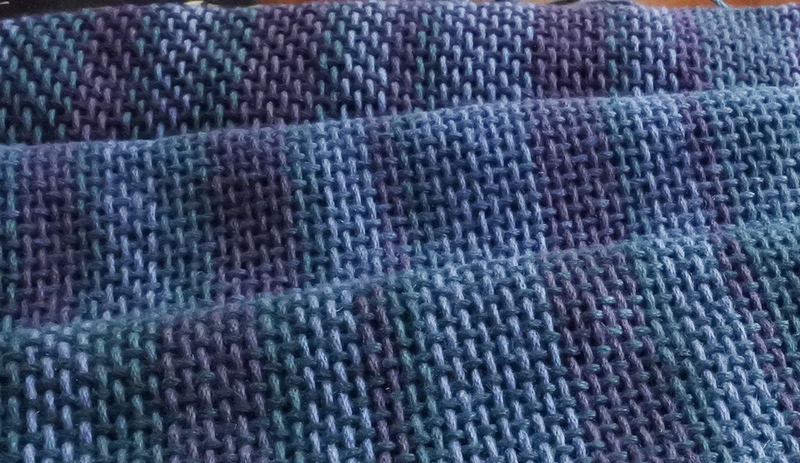 The great thing with monochromatic colours is that you can use as many or as few of them as you want (and can find in yarn). Just keep in mind what I’ve said before about the effects of the brightness of colours if you’re planning a pattern so that you draw the eye to part of the pattern you want.